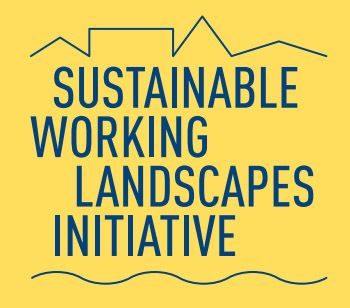 The Upper Mississippi Center (UMC) started the Sustainable Working Landscapes Initiative (SWLI) which is a year-long partnership between Augustana and a local city. Community partners identify a collection of high-priority projects that build stronger local and regional economies, more vibrant and livable communities, healthier and happier individuals, and a healthier environment. Experienced faculty from a diverse array of disciplines will lead teams of passionate, creative students and tackle community-driven projects within the framework of existing courses. This intimate collaboration helps the community partner advance their priority initiatives, while students get experience creating cutting-edge solutions to persistent problems. Expertise is available on all aspects of sustainability (economic opportunities, community livability, public health, environmental health, social justice, etc.) and all stages of efforts (conceptual analysis, planning, designing, implementation, and evaluation). Because these projects are the cities priorities, the ideas, designs, and products students generate have real-world impact by providing the community with fresh ideas to address critical, but unmet community needs.